If you, or your child have the honor of having an uncommon name (I'll be raising both hands here), then you know how difficult and frustrating it can sometimes be to find personalized items. Kids love to hear their name...well unless you're screaming it at the top of your lungs. And they love to SEE their name in print, but then don't we all?!?! Anywho, unless your name is Henry, Michael, Ashley or Samantha, it's hard to find such personalized items. (Disclaimer- I have nothing against any of these names) But then, you happen to come across a great company, a company called "Frecklebox." Frecklebox makes personalized items for kids. For all kids. Kids named Henry, Michael, Ashley, Samantha AND kids named Saxon, Stephano, Tatiana, or Desiree. Plus every other name in between. Even better, Frecklebox makes fun, EDUCATIONAL items for kids. I had the opportunity to create and review a personalized book from Frecklebox. Their site is quite easy to navigate, you create your book on the site and see the pages transform before your eyes into a lovely story all about your special kid. The book I chose was the "My Name Is..." personalized hard cover book. I'm not sure who was more excited to see the book, me or my little one! The graphics in these books are beautiful! The colors are bright and vibrant. Her name is featured in unique ways on every other page! This book is definitely a keepsake. The story is just precious. My little one loved it because she loved to see and hear her name. When she is a bit older and knows her letters and how to spell her name, I know that she will love it even more. Although "My Name Is..." did not replace our nightly reading of "Goodnight Moon" (DARN! ), it did get added to the list of "Books to read EVERY night BEFORE reading Goodnight Moon." Frecklebox has several great stories to choose from, all of which can be printed in paperback or hardcover. Additionally, they also have coloring books, posters, journal books, placemats, growth charts and party favors. Recently they have added personalized puzzles and stickers as well. If you're looking for a lovely personalized children's gift that will be treasured for years to come, I implore you to visit Frecklebox and take a look at all they have to offer! As a special gift for my readers, Mark over at Frecklebox has agreed to give one of you lucky peeps a free personalized gift! 2) Visit the Frecklebox site, then come back here and comment on the product that you like most and why. i.e. The Frecklebox product that I like most is _________ because ________. A) Blogging about this contest OR posting this contest on your facebook page will earn you one extra entry. You must actually blog about the contest, not just paste a link. C) Earn 2 more entries by leaving relevant comments to any other posts on this blog. You cannot leave two comments on the same posts and the comments must be relevant to the post. Leave only one comment to complete the required entry. For each optional entry you complete leave a separate comment. Please make sure to include your email address if it is not listed on your profile or in a prominent place on your blog. This contest is open to US and Canadian residents. Entires will be accepted until 10pm Eastern time on Friday, April 3, 2009. If you're coming here via direct link, please be sure to check out my other giveaways! I love __Goes to the Zoo. It would make the perfect birthday gift for a friend's granddaughter! I love the Goes to the Zoo my son loves animals and seeing his name. I visited the Frecklbox site and like 2 books. I thought the book for siblings was really cute and a good idea for families having a second child. I also like the "My name is" book. I can't wait until Olivia gets old enough for me to get her one. I did not have to go very far to find the one my daughter would like..."The Princess" Personalized Coloring Book. I will be getting her this for her birthday! I am already a follower. Thanks for the giveaway. I love the Ahoy Matey! Personalized puzzle. My son loves pirates and puzzles, so this would be perfect! I like Hiphop Howie and his pal because we love rhymes and my kids have strange enough names where you won't see them in store. Thanks. I would love the "Dinosaur Party"
Personalized Growth Chart because my grandson loves dinosaurs and this would be the perfect way to let him know how big he's growing. Plus this would look great in his room. I am a follower. Thank you. My favorite item Frecklebox offers is the race car poster because it would look absolutely perfect in my son's room. He adores race cars and it's just perfect for him! I would love the "Jungle Giraffe"
Personalized Growth Chart, because its cute and I would love to keep track of my little man growing! Thanks for the chance! I follow too! 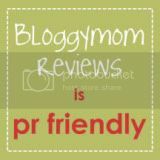 Hi Keilann, thanks for stopping by my blog! I now follow yours. The Frecklebox product that I like most is "Race Car" Personalized Puzzles because my son would be excited to see a gift made specially for him. My favorite item is the Outer Space Growth Chart because I'd love to track my 2 year old's growth and this would look adorable up on the wall in his room! I posted a comment on your Ultimate Blog Party post! I am now a followr and i love the .......goes to the zoo. I know my dd will love looking at the real life pictures. One of our favorite things to do is visit the zoo so seeing her name along with the zoo animals would be a real thrill for her. PERSONALIZED COLORING BOOKS LOOK GREAT! THANKS! Follower - the product I like most is the "Dinosaur Party" Personalized Growth Chart because it would be a great keepsake to have of my kids growth over the years - and my preschooler loves dinosaurs. The Frecklebox product that I like most is "Outer Space" Personalized Growth Chart because i have been looking for a growth chart that my son will like and i know he will like this because he's into starwars and spaceships right now! My kids are totally obsessed with puzzles right now. Their personalized puzzles are really cool!